It goes without saying that the North Carolina mountains provide some beautiful scenery, but the art scene in the Asheville/Black Mountain area is visually stunning and inspiring as well. If you love art, this is the place to be! 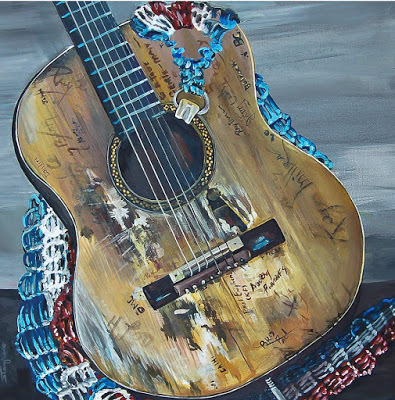 Case in point: the Red House Studios & Gallery in Black Mountain kicked off its June/July 2015 exhibit, Americana, on June 2. The Red House and its artists from the Swannanoa Valley Fine Arts League will be celebrating all things Americana during the months of June and July. Barbara Frohmader is the curator of the show. Gallery hours at the Red House are Monday-Saturday (10am-5pm) and Sunday (noon-4pm). The Red House Studios & Gallery is located at 310 W. State Street in Black Mountain near the Monte Vista, about 15 minutes west of the Inn on Mill Creek B&B. This entry was posted in Art and Artists, Black Mountain Festivals and Events and tagged art, Black Mountain, Summer by Inn on Mill Creek. Bookmark the permalink.